Offering the most organized Car & Coach Rental Services to you; VIDYA TOURS AND TRAVELS has cemented its position as a Tour & Travel Company in Mumbai (Maharashtra). We offer a whole fleet of well-maintained cars that includes Economy Cars, Luxury Cars, Premium Cars and Standard Cars. 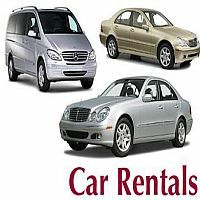 You can also avail our Car & Coach Rental Services for Mini Vans and we are also offering Wedding Car Rental Services. Our efficiency and reliable Car & Coach Rental Services have made us one of the most sought-after entities in this domain. VEHICLE SEATING CAPACITY AVG.PER DAY(KMS) PER KM. D.A. Charges of New Mumbai will be calculated on outstation basis. Driver allowance will be charged Rs.300/- extra after 12 midnight.